There are only so many hours in a day, and thanks to the non-stop demands of modern life, most of yours are already booked. How can you add a pet to your household without tacking a ton of extra tasks onto your already overloaded to-do list? It’s simple: Choose your new pet wisely. While some animal companions require a lot of care, there are plenty of low-maintenance pets that would love to join your family. There are significant benefits to owning a pet. Pets can provide companionship, teach responsibility, encourage physical activity, hone social skills, and invite exploration. However, taking on the role of “pet owner” does involve certain responsibilities. Pets deserve proper care, and you must be ready to provide it. Fortunately, the following low-maintenance pets can be the perfect addition to busy households. Leopard geckos are proof that fur is optional if you want a fantastic pet. These beautifully patterned lizards are quick, clever, and docile. They’re fun to watch and enjoy being handled. They also stay small, typically topping out somewhere between 7 and 10 inches in length, so you won’t have to worry about them outgrowing their living space. Speaking of living arrangements, these pretty reptiles don’t need any fancy supplies. They just require a terrarium, a water bowl, a light, a heater, a humid little hideaway, and some rocks or branches to climb on. Keeping their digs neat and clean is actually pretty easy because they tend to designate one corner of their cage as their restroom. They do eat live crickets and mealworms, but adults can be fed every other day, so a weekend away doesn’t mean a mad scramble to find a pet sitter. Feathers are another fun alternative to fur. Parakeets may not be great conversationalists, but these vibrantly colored birds provide great company as they flutter about, chirp, and mimic words. They enjoy spending time with their favorite humans – and many will happily perch on your finger or shoulder – but they don’t require regular walks or outings. You’ll need to invest in an appropriate cage, feeders and waterers, and some toys for entertainment. However, routine maintenance is limited to providing fresh food and water each day and changing the gravel paper or litter at the bottom of the cage at least once a week. Are you concerned that your parakeet might be lonely while its human flock is away at work or school? Consider getting two parakeets. They’ll keep each other company, and caring for two birds is barely more work than caring for one. There’s a reason that goldfish have been the starter pet of choice for generations of children. They’re relaxing to watch, and pet care doesn’t get much easier or more affordable. 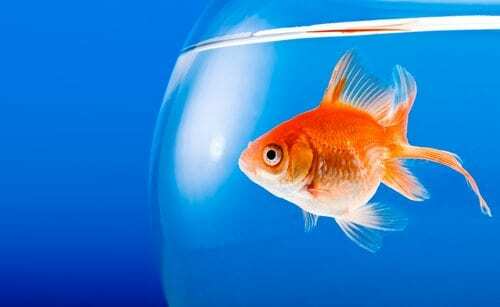 To keep a goldfish, you’ll need a fish bowl, some rocks, and some fish food. Then, you’ll have to remember to feed the fish and clean the bowl every week or so. With a bigger tank, you can keep multiple goldfish. Of course, you can certainly offer your new pets a snazzier setup. Bowls and tanks are available in an array of sizes and shapes, and selecting a fish tank with a filtration system can keep your fishes’ home cleaner, reducing your maintenance requirements. Plants and decorations can provide places for your fish to hide and transform their tank into an attractive focal point in your home. What if you need to travel for work or are eager to escape on vacation? There are automatic dispensers and slow-releasing feeders that will disperse the proper amount of food while you’re gone. Who doesn’t get a kick out of watching a hamster run around the house in a hamster ball? If you have your heart set on a furry pet, but you don’t have the time for a cat or dog, a hamster is a great choice. These small mammals need a cage where they can scamper about, bedding material, food and water bowls, chew toys to keep their sharp teeth in check, and tunnels and hideaways to play in. They’re great fun to watch, and most will enjoy being snuggled if handled gently. Hamsters are naturally nocturnal, so they won’t mind at all if you’re gone during the day. They do need fresh food and water on a daily basis, and their cage will need to be cleaned at least once a week, but these chores can be accomplished fairly quickly. That means you’ll have more time to be enchanted by their antics. At Petsway, pets are our specialty. If you’re interested in low-maintenance pets or need food or supplies for your new companion, stop in and see us. We have assorted small animals, birds, fish, and reptiles available for purchase, and our team members would be happy to answer your questions or offer advice. 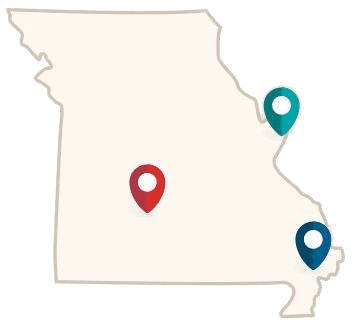 Check out our locations in Springfield, Nixa, St. Louis, St. Peters, and Poplar Bluff, Missouri.